Multicore processors have multiple cores, allowing both to occur in a single processor two or more programs. 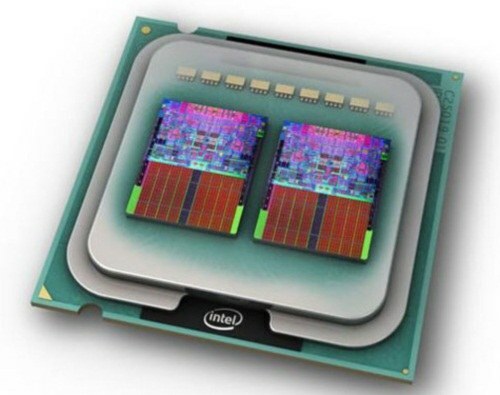 Processors with such a device is able to perform more operations than a similar single core processor. Part of cores of multi-core processor can be disabled by the manufacturer of the processors that are not detected by the operating system when installing or parked it to save power. And just not used.Modern multicore processors have high power consumption. It helps to reduce temporarily disabling one or more cores by the operating system of the computer when the CPU load is very small, and there is no need. It's called a Parking of kernels whose settings are hidden by default from the "control Panel" of Windows 7. To determine what kernel is parked, you can use "resource Monitor" that runs from the "task Manager". Under each chart, a parked core on the tab "CPU" it says "Stopped". If you see this sign, it means your computer is activated the setting of Parking cores. If for some reason they are stopping you, you can disable them under "power Management processor" additional parameters of the current power plan. To do this, set the value of the parameter "Minimum number of cores in the idle state" - 100%.Some multi-core processors only one core or all available, because the others are disabled by the processor manufacturer. Such processors may have a defect in one or more nuclei, which prevents their normal operation. Not to cull the entire crystal, the manufacturer disables defective - and sells crystal as a processor with fewer cores. This approach is used, for example, for two-trehyadernye AMD Phenom II X2-3 and trehyadernye Athlon-II-X3, in which you can unlock the 3 and 4 - using the Advanced Clock Calibration utility or through the BIOS of some motherboards. But the unlocked cores, you should thoroughly test for stability and if errors occur, they will have again to turn off. Otherwise the computer will experience serious failures.Only one core can work if the operating system mistakenly identified the processor as a single core during setup. The number of cores in some cases mistakenly identified the first version of the operating systems in which their support was enabled. It operating systems such as Windows XP c Service Pack 2. These operating system versions are deprecated. The easiest way to get to work the second - in this case, is to install the operating system a more modern version.Multi-core processors is relatively recent. The first dual-core processors by Intel and AMD came in the spring of 2005. Programs that have been released up to this point, is not designed to work with multicore processors. During operation, they use only one core. Likewise, some very simple programs also do not involve more than one nucleus.